FAQ: How is the visibility in the Cenotes? FAQ: How is the visibility in the Cenotes? FAQ: How is the visibility in the Cenotes? 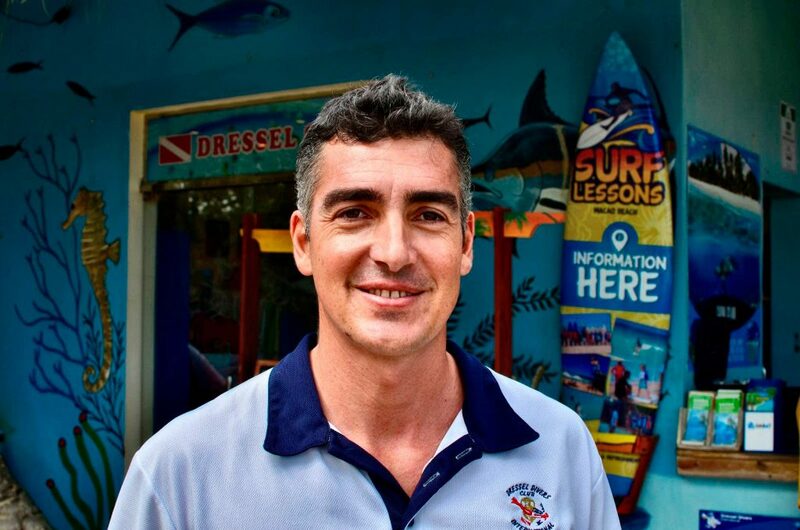 FAQ: Why should I take my Advanced Diver course? Why Cenotes visibility is so good? 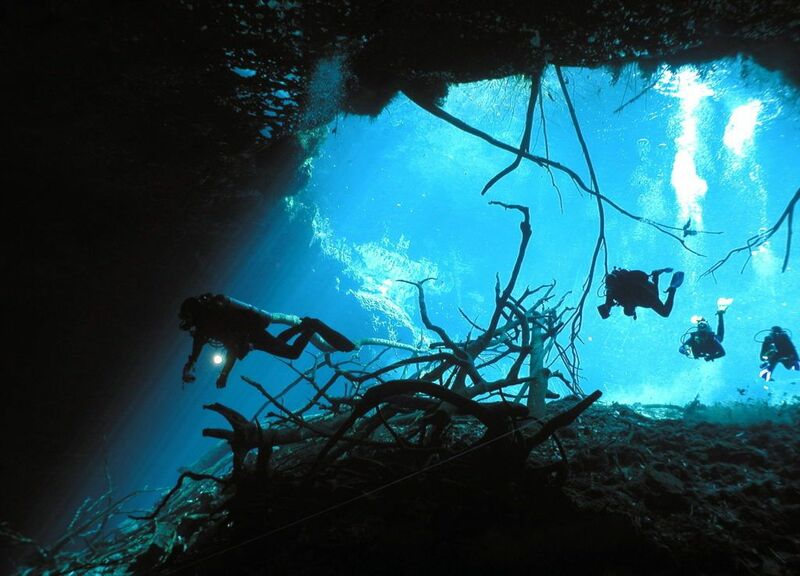 The visibility in the cenotes sometimes reach 100 meters of distance. It only worsens when divers pass through it if they do not control their buoyancy or kicking style, they may hit the bottom and leaving sediment particles suspended in the water. The reason for this phenomenon is easy to explain: it is due to the limestone of which they are composed. The cenotes are only underground limestone caverns. This stone is so soft that rain can easily pierce it, forming windows into the underground aquifer. The word ‘Cenote ‘ comes from the Maya ‘D’ znot ‘, which represents a cavity in the floor permanently containing water. The rain seeps through the galleries, remaining stuck sediments on the walls of limestone and getting to the bottom only pure water. These sediments get accumulated over the years, forming stalactites and stalagmites, filling of beauty the landscape of the cenotes , making them look authentic underwater cathedrals. In the Yucatan peninsula there are no rivers on the surface due to the easy dissolution of limestone, so we can say that the whole system of cenotes is nothing but a formation of underground rivers that empty into the sea , meeting within them fresh water with salty one. Since both have different densities, they never get mixed, finding the salty mass of water at different depths depending on the distance between the cenote and the sea. Normally those found closer to the ocean have salt water shallower and the farther one highest. Also in the passage between the layer of freshwater and saltwater a phenomenon called halocline occurs. As both masses cannot mix, at the point they meet a particular effect happens looking like when water and oil comes together. Some may even seem a false bottom. Views from the layer of salt, you can even get the feeling that is the surface. The haloclines can measure several meters, the visibility worsens and divers kicking can make it worse, that’s the reason they need to be especially close to their buddies in this point of the dive. Also it coincides with the thermocline, causing a temperature drop few degrees. The first and most important is a good buoyancy control. 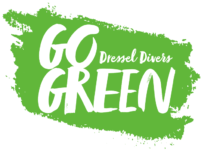 Therefore, in Dressel Divers we always demand to the diver an open water dive test before a dive in the cenotes. Kicking is also important, the most effective one is the frog style, from the knees to ankles, rather than from the hips. In this way we minimize our movements, controlling better the situation of our fins and avoid colliding with the bottom up sediment and worsening visibility. It is also important to stay horizontal and the farthest from the floor and ceiling. 1) Do not exceed 60 meters / 200 feet to the next exit. These meters counts horizontally and vertically. In our cases, our dives don’t exceed 14 meters deep either. 2) Always have access to natural light and bring at least a flashlight diver. Although the light output is always visible, in some places you can lose much of it. But this gives even more attractive and beauty, and even give the impression at times that you are flying in the air and not involved in another element. 3) Do not pass through any restriction, which is a step where only fits a diver. 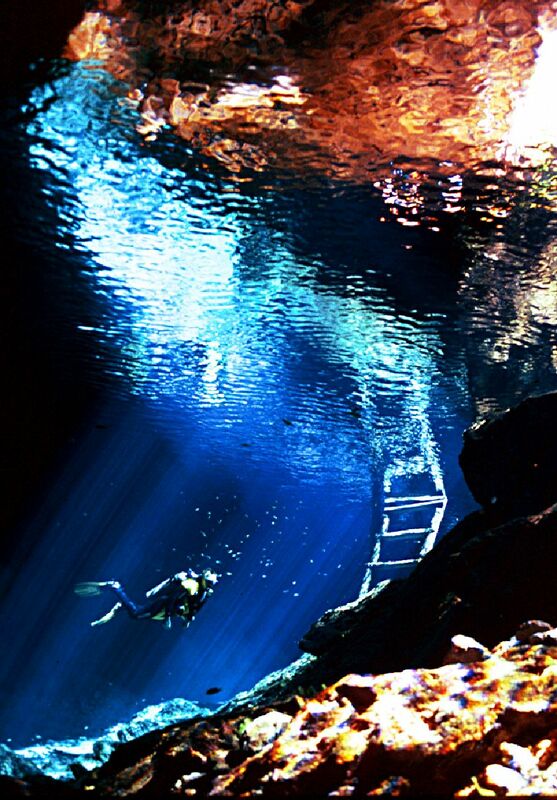 Only divers trained in cave diving are qualified to go through these constrictions. The cenotes were considered by the Maya civilization holes where you can reach the underworld, where the gods lived. Only with a dive anyone can experience this overwhelming mystical feeling. 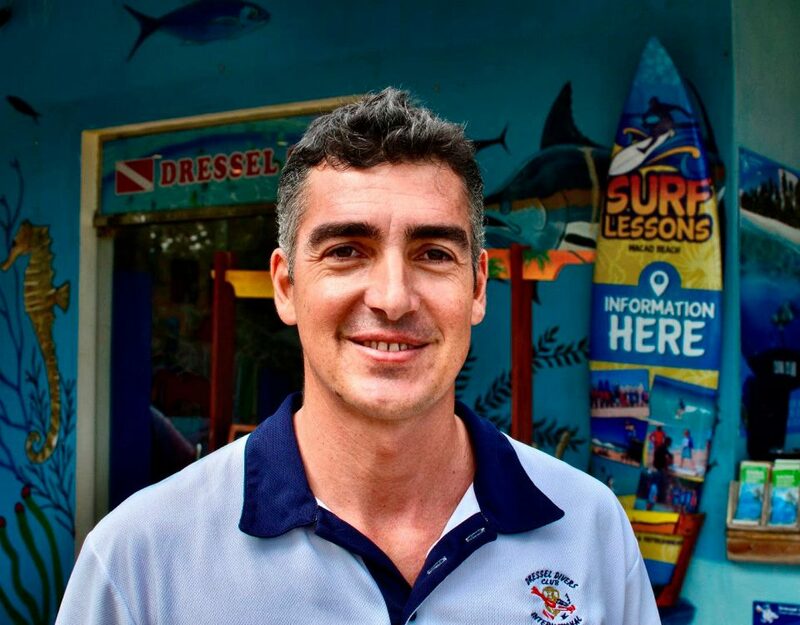 A magical and unique place in the world that does not leave indifferent to any diver.